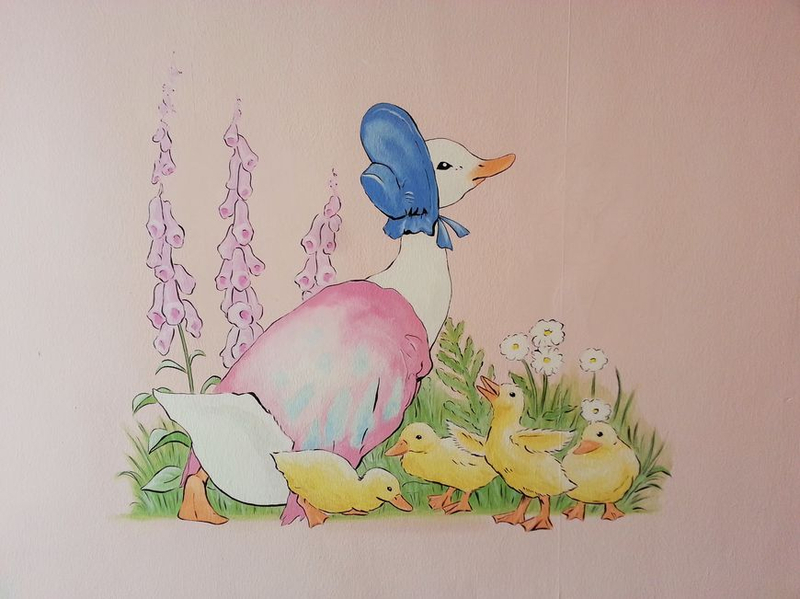 This pretty Jemima Puddle Duck mural was painted for two little twin girls in the bedroom that they share. 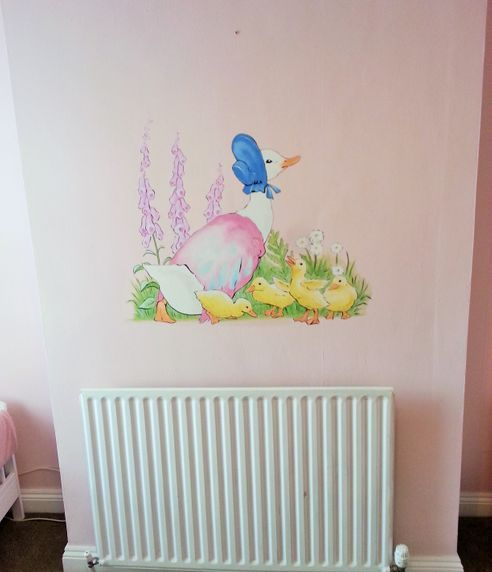 The walls were already painted a pale pink which was a perfect subtle background for this feature mural placed between their two beds. This mural took one artist one day to complete.